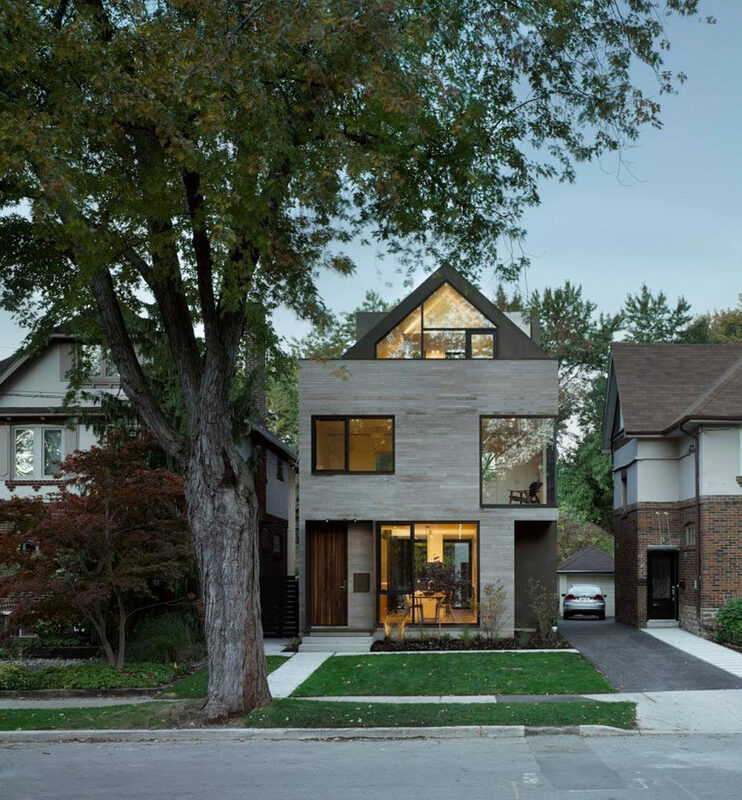 Drew Mandel Architects have designed a modern infill house in Toronto, Canada, that sits between 1920s-era single-family homes. 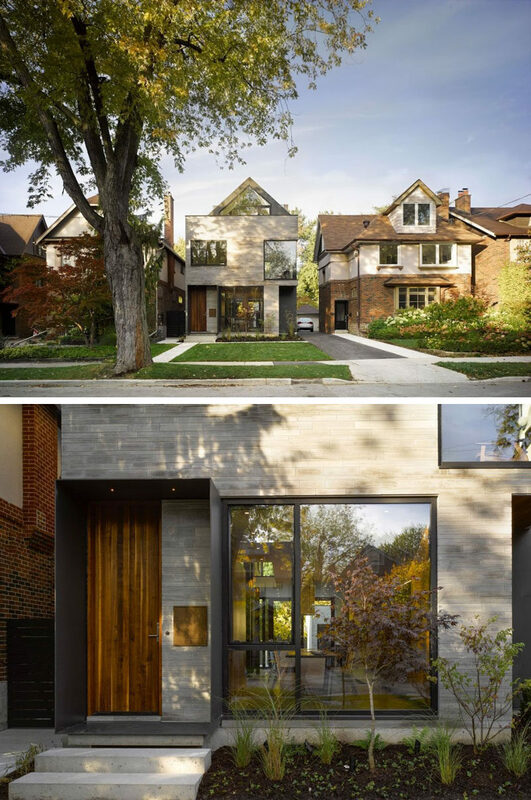 The design of the new house embraces the forms of the existing streetscape and puts forward a modern facade with a wood front door. 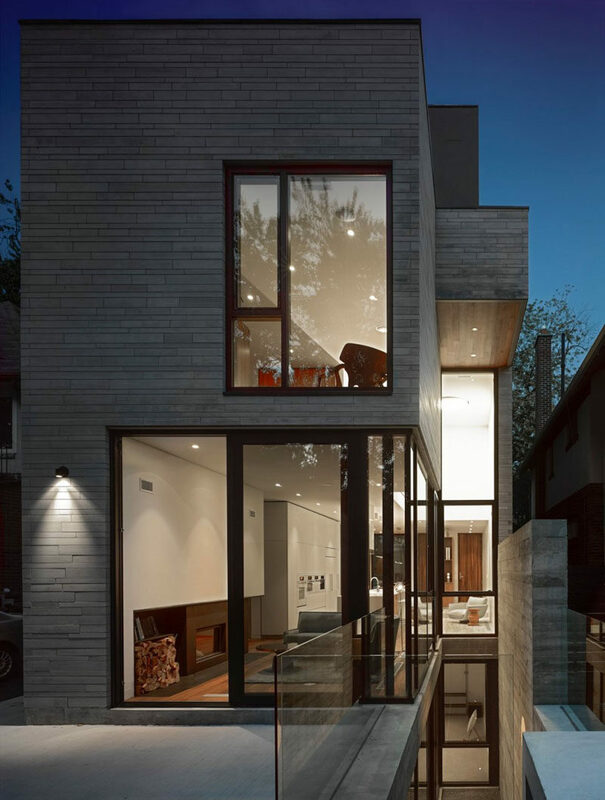 The layout of the main floor of the home has the dining room looking out onto the street, while the kitchen with its white minimalist cabinets, leads to the living room at the rear of the house. Floor-to-ceiling windows allow plenty of natural light into the living room, and a fireplace keeps the space warm on a cool night. 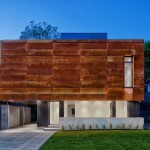 A door provides direct access to the patio and backyard. Here’s a view of the back of the house that shows the basement below. 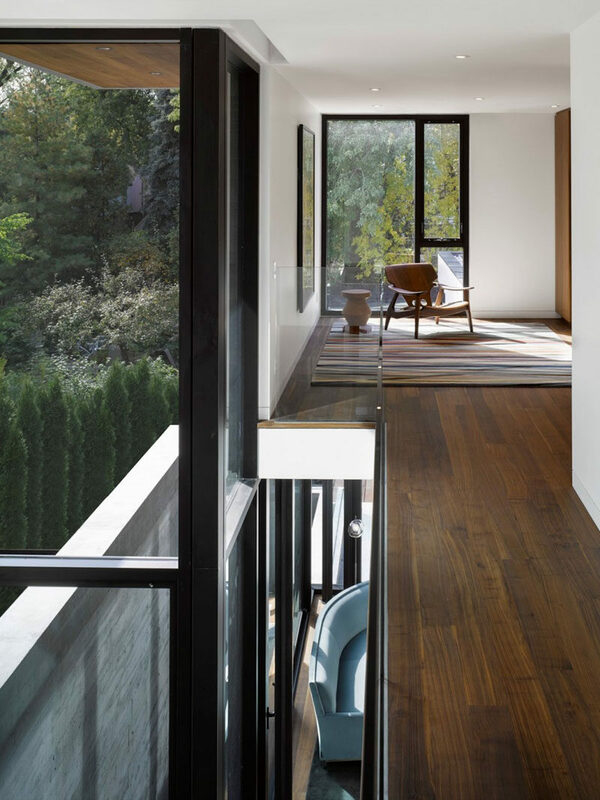 Back inside, there’s wood stairs surrounded by white walls that lead up to the upper floor of the home. 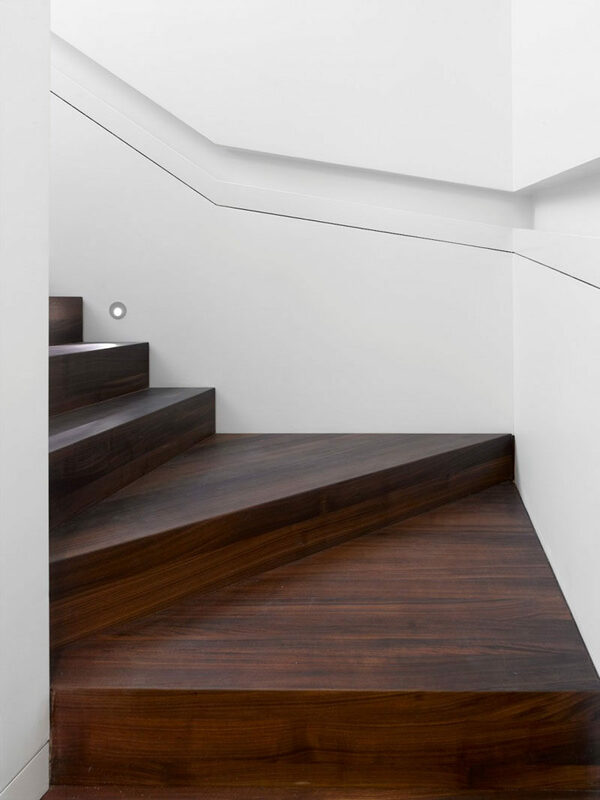 Built-in handrails create a simple and minimalist look for the stairwell. At the top of the stairs there’s a open family room that overlooks the backyard. 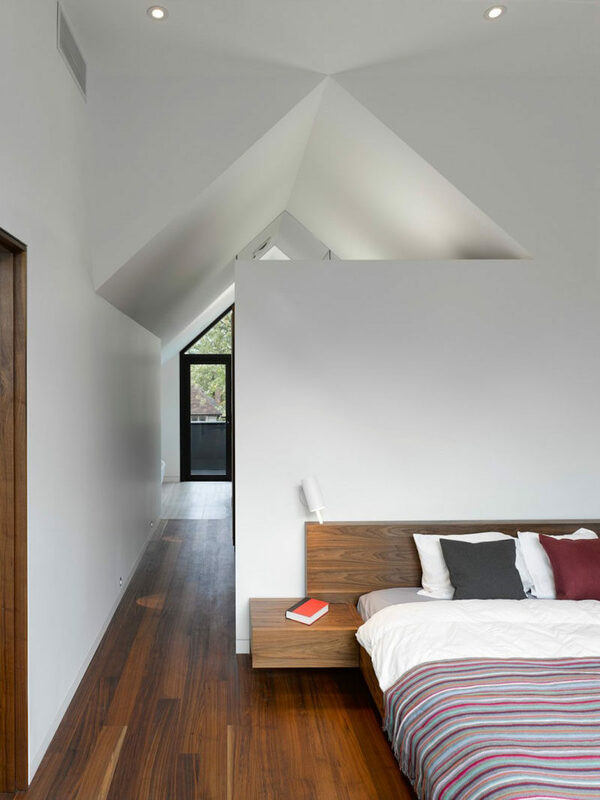 In one of the bedrooms, high white ceilings create a sense of openness, while wood floors and a wood bed frame add a sense of warmth to the bedroom. 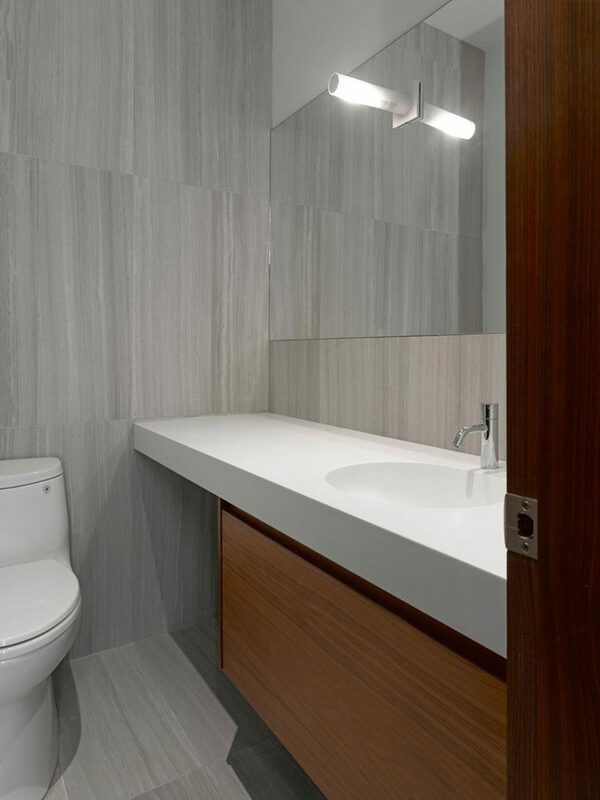 In the bathroom, large grey tiles, a white counter and wood vanity have been used to create a contemporary appearance.